Pages (such as Committee or The Loaded Dice) appear on the top menu and show static content that refers to long-term or permanent information. Posts appear on the front page and contain news or other temporarily relevant information such as events, game purchases or reviews. The Calendar is found on the Agenda page, and a few upcoming entries are also shown on the front page. The first two (as well as the main portal) are part of the WordPress framework. You can read more about it here. The calendar functionality is provided by Google Calendar. You can read more about it here. Pages are mainly useful for new and prospective members, as they contain general information about the club and its activities. Although the content on the pages is more or less permanent in nature, they need to be updated every once in a while. Each page should have one person responsible to perform these updates, for instance the Gamesmaster of the appropriate club section. Content that changes rapidly or regularly (e.g. the Ludotheek) should ideally be stored elsewhere and just linked from the page. Note that pages should never be created, moved or deleted without the permission of the Editor and/or Admin. Posts form the core of the site for regular users, and allow input by registered contributors of all levels. They contain news, updates and information items with a limited time-span. The most obvious example of an information item that belongs on a post is probably an invitation to a single-shot event (e.g. a presentation or meeting), but also the beginning of a tournament (with registration details and deadline) and its end (with the announcement of the results), the purchase or review of a new game (that won’t be ‘new’ for very long), game session reports, or the launch of a new section of the club. What doesn’t belong in a post is information that is only relevant to a very small and/or closed group of members and can easily be communicated directly by other means. For example, if your next Descent game has been rescheduled to Wednesday or your King of Tokyo group will play in the Committee Room instead of the Amiroom this lunchtime. More generally, open invitations and announcements go on posts, whereas updates or follow-ups for a specific target group go either on the Calendar or as a comment on the appropriate post. In order to both make your life easier and maintain the look of the site consistent, you can use the Copy a Post tool in the Writing Helper toolbox. This allows you to use a previous post as a template; this is particularly helpful for recurring posts such as tournaments and ludotheek updates. It’s also useful for new authors to see examples of what a properly formatted post should look like. Posts should be split into a “preamble” and a “full text” by clicking on the Insert More Tag icon (circled in red below) or pressing Alt + Shift + T. The preamble shouldn’t be more than a couple of short sentences: if it’s too long it will be cut off on the front page with […], which doesn’t look very nice! By clicking on the Add Media button you can embed images or sounds into any part of a post. You can choose a file from the website’s Media Library or upload one from your computer (which will also add it to the Library for future use). Although this is entirely optional, it’s highly recommended as it makes posts much nicer to read. Each post should have a Featured Image, which will appear on the front page. This can be one of the images embedded in the post, or an entirely different one, and is selected via the interface box on the right. Note that, in order to be displayed properly, a Featured Image should be at least 470 pixels wide by 140 pixels high (larger images will be automatically resized and, more important, cropped). Avoid using images with text (as it will very likely get cut) or with a white background. Game box covers are especially problematic; instead, try to use photographs of a game in progress or of a display of the components of the game. These are a formal classification and serve to identify which branch of the club the content refers to. The default setting is “General”, which refers to activities or events not specific to a sub-club (e.g. AGM, paintball, membership fee reminders, etc). While it’s possible to assign more than one category to each post, it’s rarely appropriate – it’s almost always better to use the “General” one instead. few: 2-4 per post is a good rule of thumb, though for long posts covering various games it may be appropriate to add more. short: this helps keep the tag cloud looking neat and uncluttered, exceptions to this are standard terms like eurogame or worker placement, which need to be that long, or the names of the games, which (if needed) should be spelled and capitalized as per Board Game Geek (i.e. Resident Evil DBG and not resident evil, Resident evil or other variations of the same). in lower case: except acronyms (LCG, RPG, iOS) and proper names (Kingdom Builder, Martin Wallace, Mayfair Games). specific: for example, a post about Dominion should get the deckbuilding tag (but not the card tag), whereas a post about a game like Bonanza or Poker which cannot easily be further categorized would get the more general card tag. reusable: when allocating tags, first see if applicable ones already exist and use those. Note that, when starting to type a tag, the system will automatically suggest existing similar tags. Using that functionality will save you work and avoid mistakes and duplication. When creating new tags, try to think ahead and come up with names that could conceivably also be used in future posts. Adding links lets you keep posts direct and to the point while allowing the interested reader to easily find more detailed information. Do it often! For example, try to link to BGG pages of games, homepages of publishing companies, Wikipedia articles, etc. Note that, instead of entering a URL you can also select a post or page within this website from a list. This is particularly useful to link back to previous posts about a given subject (e.g. linking to the original tournament post, when posting about the results), but also helpful for links to static pages such as the committee or a specific D3 library. For privacy and security reasons, please don’t create mailto: links to a person’s internal e-mail address – in fact, don’t write it in plain text (name@emailprovider) either! If you want to provide a contact person, just type his full name followed by his internal phone extension in brackets. This should be sufficient for internal users. You may, however, freely link to the club’s general address (DHGAMES@epo.org) and, if the member gives you his explicit permission to do so, to his private account in gMail, Yahoo, or some other external service. The Format tool lets you use preset formats individually tailored to the skin/theme of the website. They’re especially important for creating section headings – it’s better to use the preset Heading formats than to create them manually (e.g. by using bold letters). Note that once a post is published the formatted text won’t look exactly as in the editing interface, it’s adapted to the look and feel of the site. In the appendix at the bottom of this page you can see what each format actually looks like and what you should use it for. 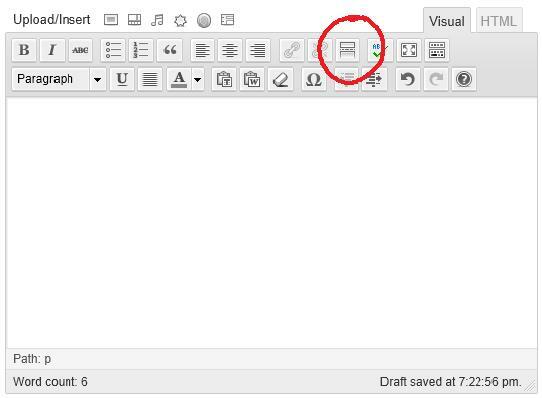 You can also use the Preview button in the Publish toolbox to have a look at what your post will look like before submitting it. Aside from this, posts also have a discussion functionality allowing members to post comments. This is especially useful for posts which require feedback or follow-ups, such as a tournament. For example, members can post a comment in order to subscribe to a tournament or to thank an organizer after a successful presentation. Finally, a post can be temporarily Featured on the front page: a featured post will not be automatically pushed down as new posts are published, and will be prominently displayed until it is no longer Featured. This can be useful for important news or for ongoing events with a long time-span. However, this option should be used sparingly as it can easily lead to clutter and stagnation of the news page. Only the Editor and Admin can make a post Featured. The club has a public Google Calendar account where events can be added (by authorized members) and viewed (by anyone). The website displays the next few upcoming events on the front page, and the full calendar on the Agenda page. Creating or editing events is not done directly on this site, however. A member must have his own Google Calendar account, which can be created for free and linked to your e-mail account, and then receive authorization from a committee member. Then, when creating an event from his account, he can choose to add it to the Amicale Games Club calendar instead of his own. The calendar interface can handle large amounts of events, even overlapping ones, without becoming too cluttered. Therefore, it’s perfectly appropriate (and encouraged!) to add all kinds of club-related events no matter how small: even if a planned game is already full and not open to other participants, placing it on the calendar increases the visibility of the club and lets others know that the room will be occupied. Role-playing sessions, ongoing tournaments or even external events such as SPIEL, DUCOSIM or the Leipzig Games Convention should also go on the calendar. When creating a calendar entry, be sure to add as much detail as possible, including start and end times, location and a brief description of the event. Don’t be alarmed if the “upcoming events” list on the front page doesn’t get updated right away, it can sometimes take several minutes. On the other hand, the full calendar on the Agenda page should work instantly. Paragraph: the default setting, to be used for normal text. Note that each press of Enter creates a new paragraph (with double spacing between them). The preamble of posts that appear on the front page should be entirely in this format. address: essentially just italics text; no real reason to use this except perhaps as taglines or subtitles under a main title. or other texts which require precise line breaks. You probably won't ever really need this. This is what a Blockquote text looks like (in the editor you will just see it indented, but don’t be fooled). Use this to quote text from other sources, such as rulebooks or BGG reviews.